Franchising is booming, with the British Franchise Association (bfa) predicting that the Scottish franchise sector will be worth £1billion by 2020. Find out how you could be part of this lucrative industry at Franchise Opportunities Scotland – a brand new event for 2018! 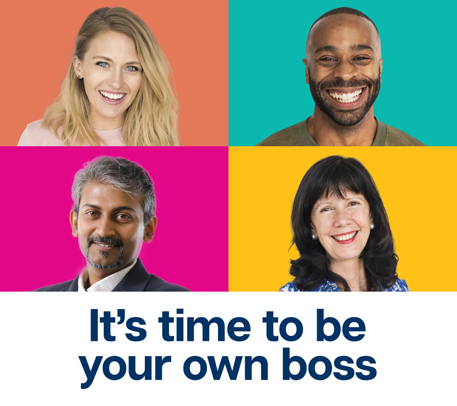 On 25 April at Grand Central Hotel, Glasgow, meet franchise brands actively looking to expand in Scotland and start your journey to becoming your own boss. This event offers unique networking opportunities for budding entrepreneurs looking to discover inspiring franchise opportunities in Scotland. View the list of brands here. Get essential advice from industry experts including lawyers, financial experts, consultants and representatives from the British Franchise Association (bfa) to kick-start your franchise journey. Considering expanding an existing business through franchising? Gain a better understanding of the process from industry experts to help ensure your new venture is a success. View the seminar sessions here. Taking place before Franchise Opportunities Scotland, the bfa's Business Breakfast brings together guests from all areas of the franchise industry to hear from inspiring speakers and network. Get one-to-one advice on your business plan at the Finance Clinic from the experts at Franchise Finance. Book an appointment and get free advice on raising finance. Book your appointment in the Finance Clinic. Ideally located in the heart of Glasgow, Grand Central Hotel is a one-minute walk away from Glasgow Central rail station and can be accessed via the main concourse. which is Bothwell Street. The hotel is located at the junction of Bothwell Street and Gordon Street, just a minute’s walk from the bus stop. Prestwick Airport – There is a regular train link from Prestwick Airport to Glasgow Central Station – trains are every 30 minutes and take approximately 40 minutes. Alternatively, call the Franchise Hotline on +44(0)20 8394 5294 to speak to one of the team. Lines open 10:00 - 17:00 Monday to Friday. Tickets are free if booked in advance. Prices vary on the door and range from £10 – £15.